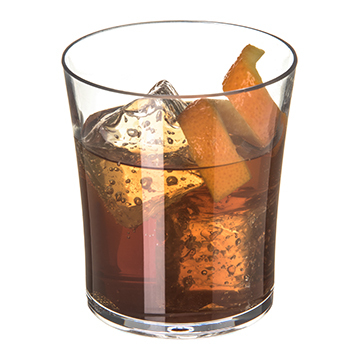 Plastic Double Old Fashioned glass provides the look and feel of regular glass, but with an elegant dark tint. The ideal solution for outdoor or poolside dining, this glass can handle any situation. The polycarbonate blend allows these glasses to resist tumbles, slippery hands, cracks and more.